This week, I had the opportunity to sit down with Dr. Ken Marsh, Paradise Dental Associates – Sleep Solutions Specialist. In addition to the innovative care he is providing to patients with Sleep Apnea and Snoring issues, he shared some insight into his other work. His love of mentoring Dental Students. 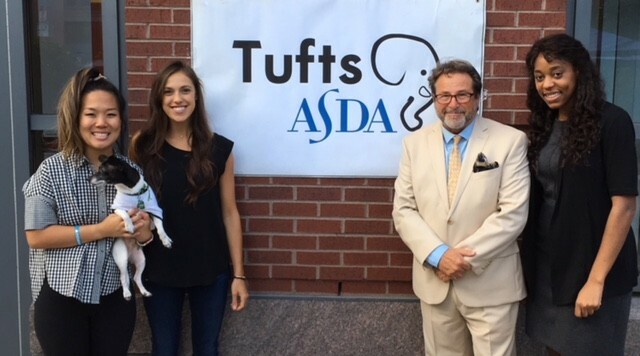 Dr. Ken Marsh was at Tufts Dental School helping the American Student Dental Association welcome the dental school class of 2022. “I love mentoring students; they are so bright and enthusiastic and truly care about the future of dentistry. It’s so fulfilling to me to help them forge their unique professional identity”, said Dr. Marsh. Want to learn more about the innovated solutions Dr. Ken Marsh is providing? Stop by Paradise Dental Associates on September 15th, between 9AM-2PM during our Open House & Blood Drive. Meet Dr. Ken Marsh, and tour our practice. Contact Paradise Dental to learn more! Interested in a consultation? Click here. Want to learn more about Dr. Ken Marsh? Click here.